Turmeric: Is It Beneficial For Health? It adds more than just flavour to your food! Turmeric is a naturally occurring spice taken from the rhizomes, or roots, of plants which belong to the ginger family, usually found in South East Asia. The rhizomes are normally prepared by being boiled, sun-dried and then ground into a powder which is highly coloured, a distinctive bright orange/yellow colour. [Beware, it stains clothes and skin!] It has a mustardy earthy smell and a warming slightly bitter peppery flavour, more mildly flavoured than many other spices. Turmeric has many uses; it has long been used as a dye, and notably as a mildly flavoured spice in many forms of cookery, usually in dried, powdered form. It can also be used fresh, just like ginger, and is increasingly available in this form. For thousands of years, it has also been a valued ingredient in traditional medicine, for example in India, China and Nepal, and has been regarded as being beneficial for health and useful in treating disease. Supplements are now available which are manufactured from turmeric, the main constituent ingredient being curcumin which is found in this spice. What are the suggested health benefits? The health claims are based on the active ingredient curcumin, which, it is said, has natural anti-inflammatory properties, slowing down inflammation . Inflammation is a contributory factor in many common chronic diseases, such as heart disease and arthritis, and so inhibiting inflammation could be of great benefit. Curcumin is also claimed to have natural antioxidant properties, which could help to protect our bodies against disease. It is also suggested that curcumin is able to boost levels of brain hormones, helping to improve memory, fight depression and help to delay age-related decreases in brain function. Studies have also begun to investigate the possible future use of curcumin to help prevent or treat cancer. It is also thought to aid digestion; just as well as it is included in so many foods! Is there evidence to support these claims? There is much research taking place into the effectiveness of curcumin, but most claims seem to have emerged from preliminary studies in laboratories rather than human studies. 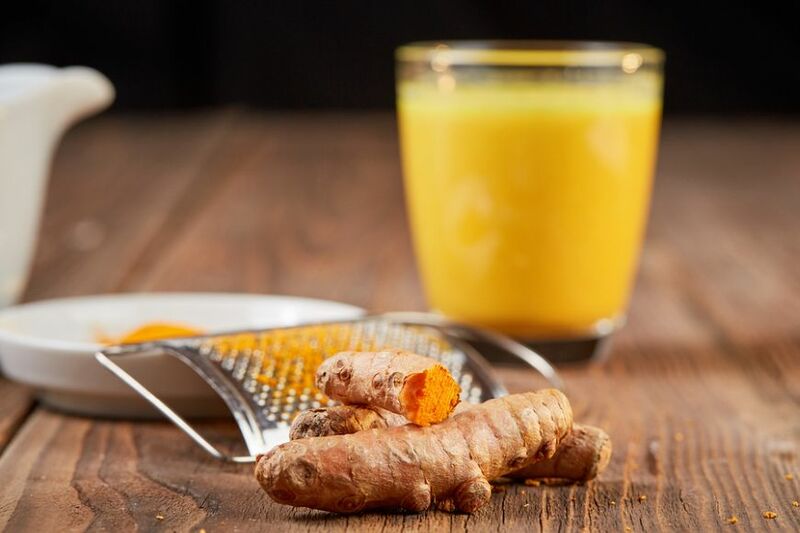 Therefore it is generally agreed that there is little evidence that is completely reliable as yet, and that more human studies are needed to find out how effective turmeric and related products really are in delivering health benefits. It seems that the inclusion of turmeric in our diets is generally a welcome addition for all, but this will not deliver the large amounts of curcumin used in studies; curcumin is quite poorly absorbed into the bloodstream, and the amount present in turmeric varies but is generally only 3% or less. Supplements of various kinds containing curcumin are now available, but it is advised that you should seek medical advice before taking them, as there may be risks for some groups of people, such as pregnant women or those taking medications which might not interact well with such supplements.